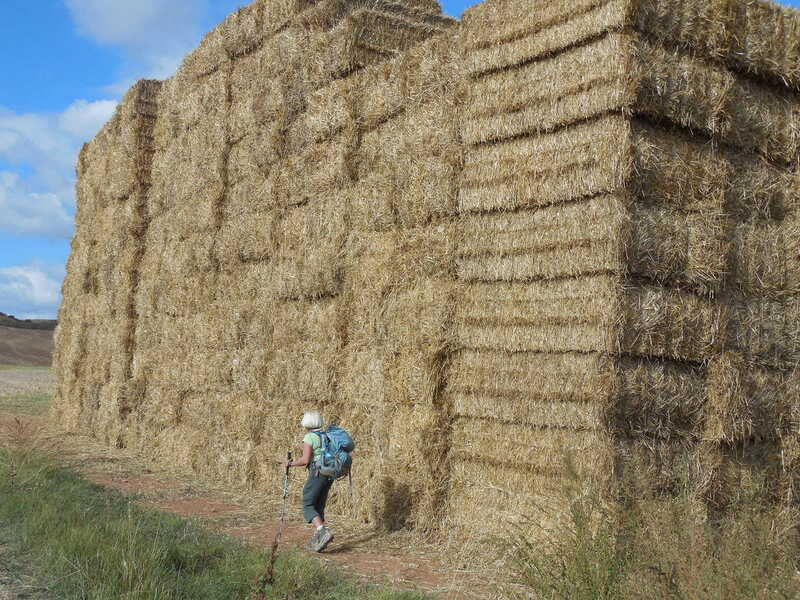 Heading west towards Leon, we continued to walk across Tierra de Campos, a table top plain that was relieved only by irrigation a ditches, enormous hay stacks and wind turbines. Don Quijote would have been spoiled for choice. Spain has invested heavily in wind power. Windmills march across every ridgeline. 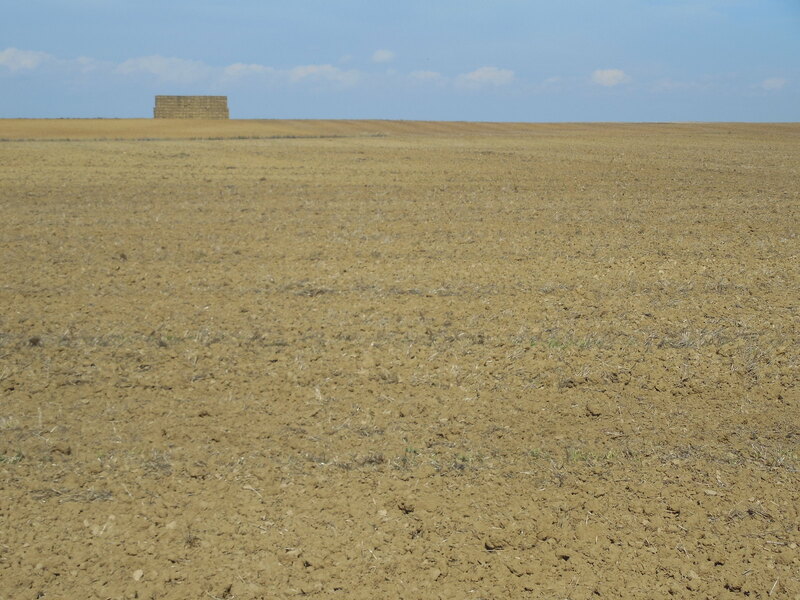 Apparently many pilgrims, thinking the landscape too boring, fast-forward the Meseta bit by taking a bus. We see very few pilgrims. Which is actually OK. The grand expanse and the isolation have a charm of their own. It is quiet with only the wind to keep us company. 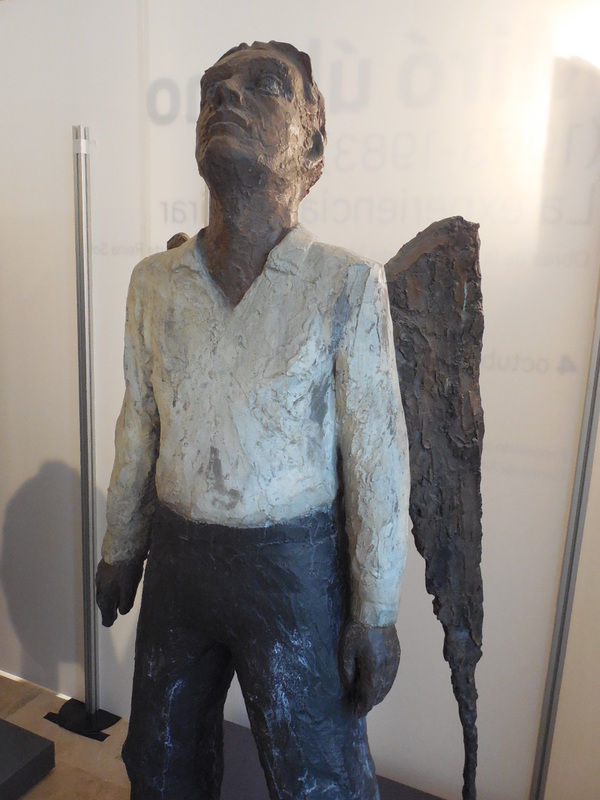 One of my favorite sculptures found in Burgos. That said, I have regrettably seen little of the city, once the most important Roman military and mining outpost on the Iberian Peninsula. The Emperor Augustus pacified the territory in the year 19 B.C. and proceeded to remove an estimated five tons of gold from the surround. An amazing enterprise in that doing so-called for roads (arrow straight for miles… sometimes through bogs that called for 100,000-tons of fill) and in the case of mining, called for water which necessitated building a channel network – some of which were more than 100Km long. When I am tired of walking, I just thank my lucky stars that I was not a Roman Legionnaire. I have, however, run into friends we have lost and found and lost again along The Way. Most of us are following the route prescribed by John Brierley, but sickness and rest days set us back at different junctures. Sitting in a cafe today outside Leon’s cathedral, we met a Dutchman lost but found. I marvel at how nice it is to see people we hardly know. We think of them as long-lost friends although they are acquaintances, hardly “friends.” I think it must be the shared experience. It is good to re-connect with these fellow pilgrims, but the longer I am away from friends and family, the more I value their fidelity. Given my foot issues, the cathedral is all I have been able to see. And what a cathedral it is. 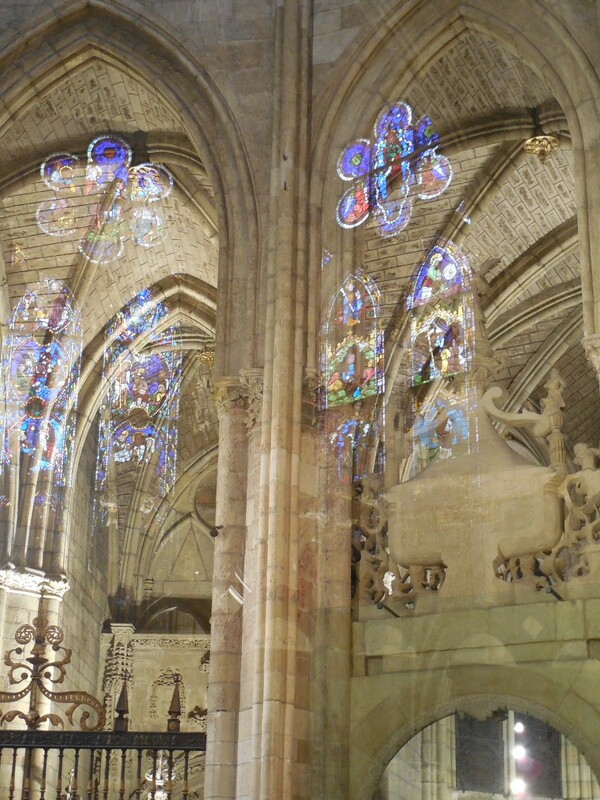 With 75,347 square feet of stained glass windows, it is no surprise that it is called “The House of Light.” The first cathedral was built by King Ordono II who wished to thank God for his victory over the Moors in 917. And from that point on to today, construction has never stopped. 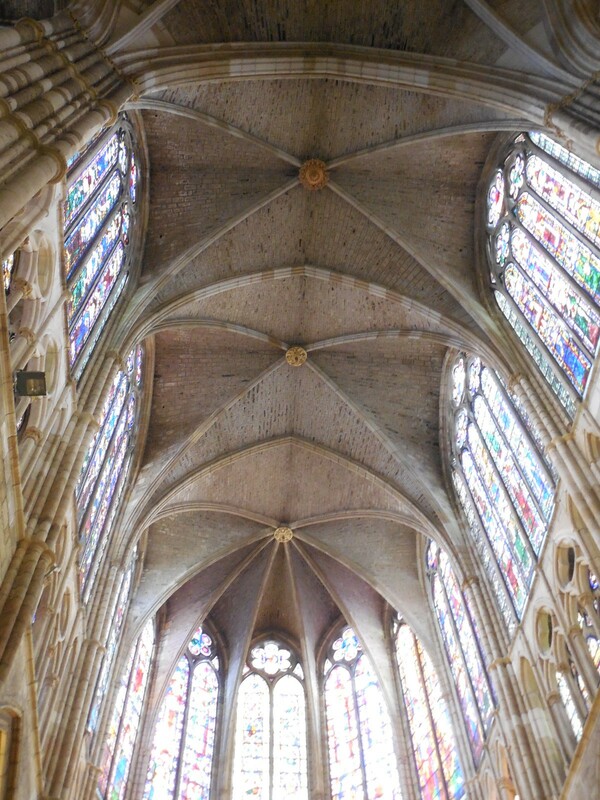 The primary construction took place during the 13th century, but subsequent centuries added to the Gothic structure making it more and more Gothic. The gravity-defying walls and the light-filled windows were designed to glorify God, but perhaps the builders reached too far. The number of windows and the fact that the cathedral was built above an extensive Roman bath have compromised the structural integrity of the building. Scaffolding is always a part of the picture. The beauty of the churches may be transformative, but the churches don’t let you get away Scott-free. If you look closely, you will find reminders – the consequences of sin and/or disbelief. 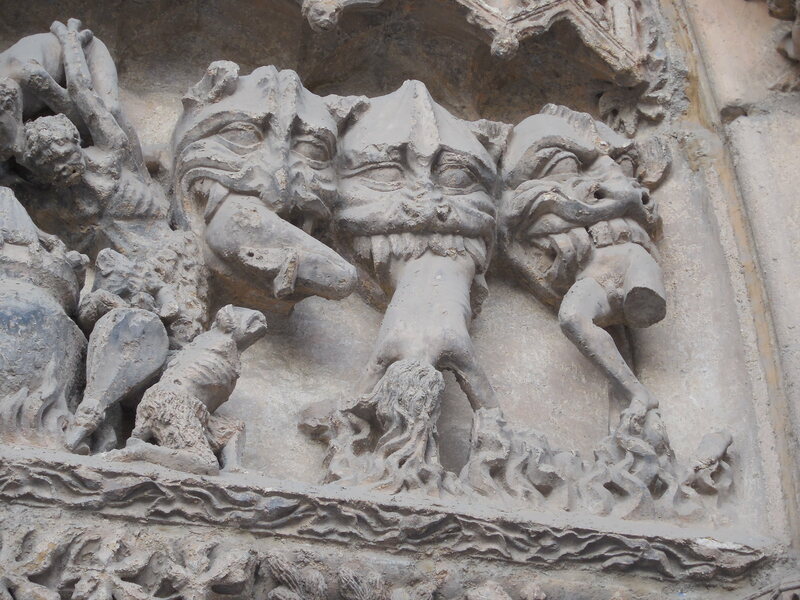 This entry was posted in Uncategorized and tagged John Brierley, Leon Cathedral, Leon spain, Mary Oliver, pilgrimage, walking El Camino de Santiago, Walking The Way. Bookmark the permalink.